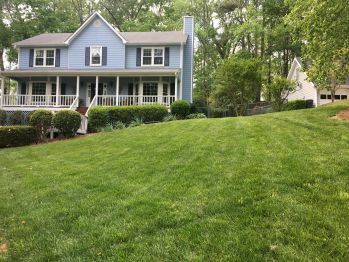 Exceptional Lawn Maintenance Service in Marietta! Are you spending every weekend in your yard mowing the grass, edging the yard, pruning your bushes, and clearing out debris? Are you tired of having to take your days off and use up your free time to have a well-maintained yard? Think of how much more free time you could have to do what you want if you weren’t stuck doing yard work all weekend! Well now you can because we’ll come do it all for you. We’re a trusted lawn maintenance partner serving Marietta for over ten years! With a professional team, we show up reliably on time and leave your lawn looking amazing with exquisite attention to detail! We’ll treat you and your property with respect making sure you are satisfied with our services each and every time! With competitive rates we offer monthly, bi-weekly and weekly yard maintenance. We have lots of long time customers and referrals who would all agree you won’t find better lawn maintenance with anyone else! Don’t waste another weekend working hard in your yard! Call us today and let us com do the work for you! Step 1. Give us a call and tell us what kind of lawn maintenance services you need, whether it’s mowing, pruning, edging, or blowing we’ve got you covered. Tell us how often you want our services to come out and care for you yard. Step 2. Set up a time for us to come out and look at your yard. 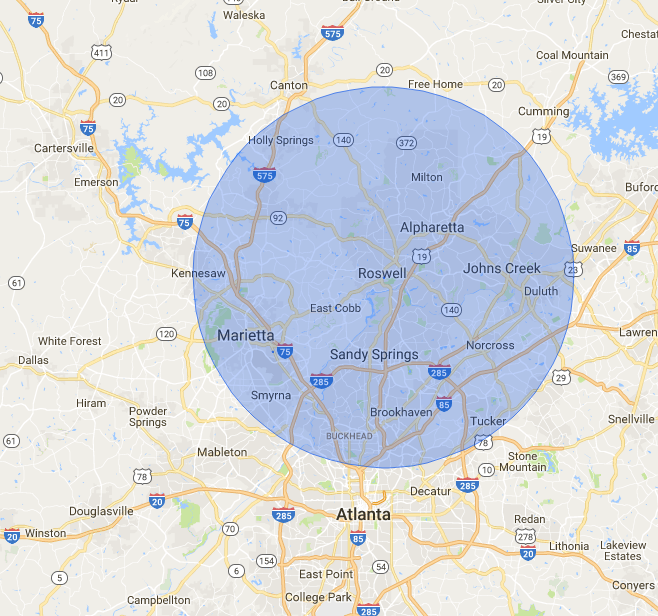 We’ll call, text, or email you a simple quote based on the size of your yard, terrain, and the hills you might have on your property. Step 3. Sit back and relax, our team will be there shortly to take care of everything! Don’t wait another day! Get an amazing looking yard now and keep it that way with us! Call today! Serving these Marietta zip codes: 30008, 30060, 30061, 30062, 30063, 30064, 30065, 30066, 30067, 30068, 30080, 30090, 30152.